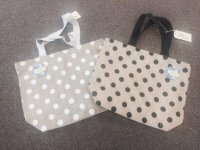 Shop Hop-New Kits and more news. Shop Hop across the state to 31 shops. Everyone is featuring....Dots! We now have the bags in stock-but quantities are very limited. Stop by and get your bag for $15. Each shop along the hop will have a unique Pin Dot. Wouldn't these be fun to pin all over your bag. 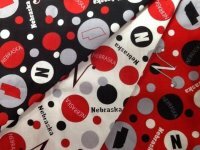 The Shop Hop fabrics will be available for pick-up beginning April 9th. If you haven't pre-ordered, please know they are selling out fast. Watch for updates on special events that we will be featuring during the hop-only at The Quilt Rack. 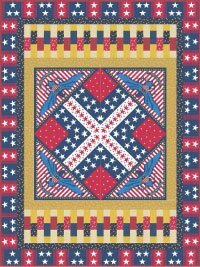 Patriotic-for Quilts for Valor Foundation. Finished size is 60 x 80". Our kit features most fabrics from the collection -but we have made a few substitutions to give a similar look. The picture shows the bright look-we feature the darker, country look.